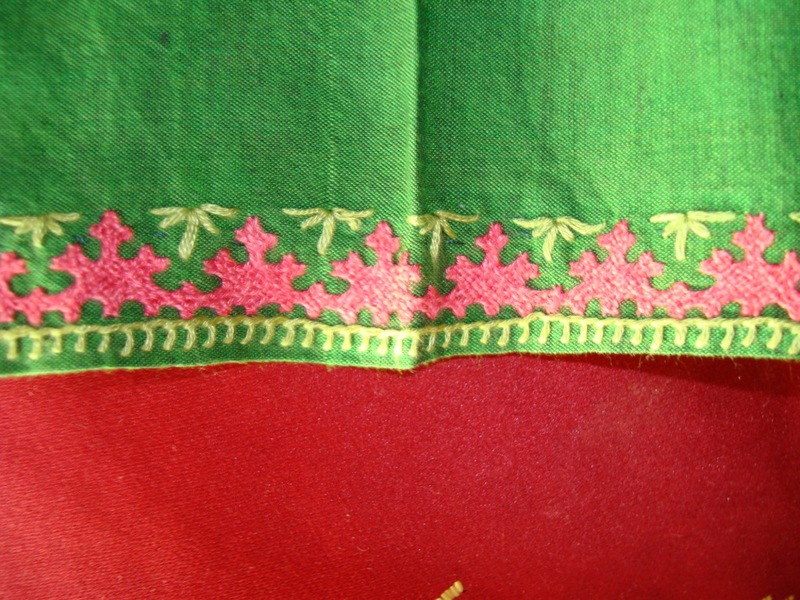 I worked border and square motif pattern in pink on the sleeves of a green saree blouse. 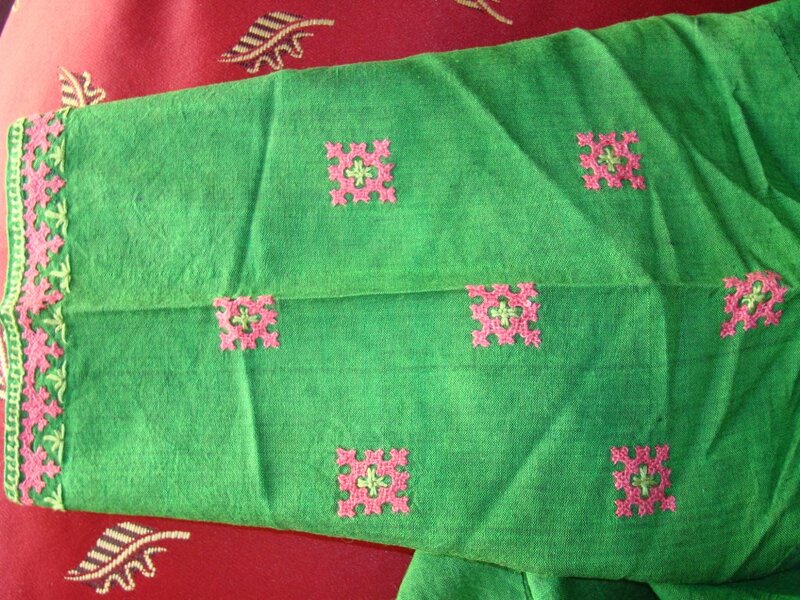 The saree was in pink with green border. This was a pune cotton saree. They are a distinct variety of their own. The blouse was mercerized cotton in green. I asked the tailor to mark where the sleeves would be cut, And I drew the whole pattern there. The pattern was a very simple , I drew it on inch graph, and traced it . 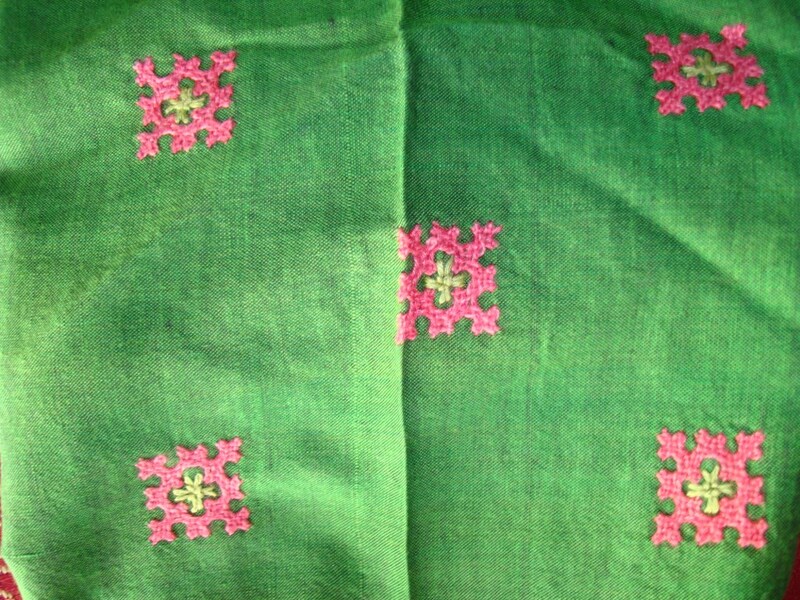 The kutchwork was worked with medium[the colour of the saree] pink, and a some buttonhole and crossed straight stitches in very light green.